I just got done with my first playthrough and I'm feeling so many things! All of the NPCs were wonderful and the world was wonderful. Gotta say I Absolutely enjoyed the game and how the game made me got attached to Niko. Also love all the drawings made for OneShot on this DA. I requested a Oneshot Fan Button and this was used as the image!! Is that okay? I'll ask them to credit you in the description once they make the Button for me?? What is niko's real gender? Btw your game is fantastic !!! I'm not usually big on games, but I have to admit I'm intrigued. You just have such cool designs..! Picked the game up on Steam about 2/3 days ago, started playing about an hour and a half ago, before letting Niko get some sleep. I'm excited to play again, in the morning Thanks for much such a nice game, with such an adorable protagonist O3O. I had no idea this game was yours!! Oh my goodness, what an amazingly pleasant surprise! I love it so much, and I've been considering getting the Steam version. 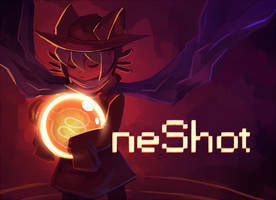 OneShot is beautiful, and so are you. Wait, you made that game? Hearing that there is more stuff in it now is a great reason to get it and play it again . Though I'll probably will be waiting for the next sale. By far such an underestimated game, but my personal GOTY 2016! I bought the game and finished it, it was absolutely amazing! So creative and unique! Niko was such a cutie, I think I'm going to replay OneShot many times just for them. I bought this on Christmas! I did not know I was watching the person who designed Niko! I have not finished it yet (not even close), but I already love it! I want to give this game Infinity/10. You did a great job, Nightmargin. Thank you! <3 You should show me when you're done!